Back from a week in sunny(?) Nottinghamshire, with a general apology for not announcing my absence, here on the blog and for not setting my 'out of office' message on my emails. I thought I had done that, and tried to do it on the phone, but failed somehow. So I'm not ignoring you: I will get round to answering emails. In the meantime thanks for all the comments on the autumn's Post and Go programme - that certainly set off a lively debate, not least about the ethics of obtaining and selling blank strips! More of that later. The important news for now is that stocks of the 1st class x 12 booklets have at last appeared across the country and we have them in our shop, both as single stamps and whole booklets, including cylinders. 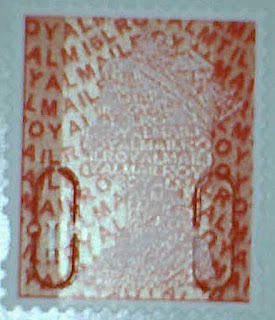 The cylinder numbers - W7 red, W1 iridescent, and a new (? *) W2 phosphor - are, as usual this year, hidden by the front cover. But the packing date cannot be relied upon as an indicator of the year code on the booklets within the pack. Our stock of booklets with M15L stamps has a packing date of 30/03/15, but we have reports that packs with April 2015 packing dates have M14L stamps in. We also have the 2nd Large MA15 booklets in stock now. We now know that these will be self-adhesive, and we are reasonably certain that the 1st class will be red. With regards to the above about the W2 phosphor cylinder being new. This is not so as this cylinder has been used on the 12x1st class books since the gold MA10. Yes, a phosphor cylinder numbered W2 has been used for some years, but with the cylinder number visible when the booklet is closed. In the case of the M15L booklets, and the M14L booklets with red cylinder W7, the cylinder numbers are hidden by the front cover. 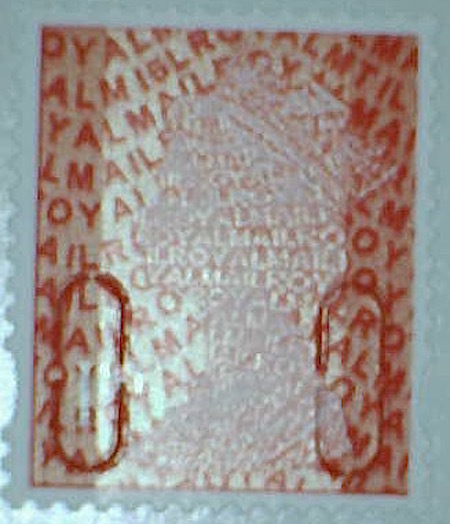 Now this may be the same W2 phosphor cylinder with the number erased from its earlier position and repositioned nearer the stamps. It may also be a new cylinder, also numbered W2, with the cylinder number in the new position. I think there have been previous instances (certainly with DLR's sheet stamps) where a new cylinder has been used (as evidenced by the change to the checker grid) but no new number assigned. I don't know whether this has happened with WSP-printed booklet stamps: I don't suppose we will ever know! I think that this must be a new W2 cylinder. I've always understood that the M15L books were printed on Walsall's new press. I believe that this press uses different sized (larger) cylinders than the old press. The old W2 cylinder was used with the old press and could not fit into the new press. Yes. The colour cylinder is a new (higher) number, which makes sense for a new cylinder. The iridescent cylinder is W2, which also makes sense for a new cylinder, as it is the 2nd cylinder to print an iridescent background containing the characters M14L. So, if there was any logic to this, the phosphor cylinder should have been W3 and not W2. Apparently there is no logic to this! Perhaps, when they came to assign the number for the new phosphor cylinder, someone just forgot that they already had a phosphor cylinder numbered W2. For what it's worth, that's what I think happened. If it is correct that the new press requires cylinders of a different size, then this has to be a new phosphor cylinder. It can't be the old W2. It would have to be a new cylinder, just wrongly numbered. Something not quite right here. We have two books of 12xtst class both with W7 colour cylinder. However, on one book the security year code is M15L printed by security ink cylinder W1 and on the other book the security ink cylinder number has increased to W2 but year's date code of M14L has gone backwards. Why go backwards in years but forward in cylinder numbers? Are we looking too much into this? W15L - Red W7 (unchanged) - Phos W2 (unchanged but should be W3) - Iridescent W1, a new cylinder for 15. I think it is as Ian says. Let's go all the way back to 2013 and look at the how the iridescent cylinders have been numbered. (1) Overlay M13L. Only one cylinder was used to print this. It was numbered W1 as it was the first to print the M13L back ground. (2) Overlay M14L. The text has changed. A new cylinder was required to print it. It was numbered W1 as it was the first to print the M14L background. It is not numbered W2 because it is not printing M13L. This cylinder was used early in the year when the old press was still in use. (3) Overlay M14L. It is now later in the year and the new press comes into use. Oops, the W1 cylinder does not fit the new press. We need a new cylinder. 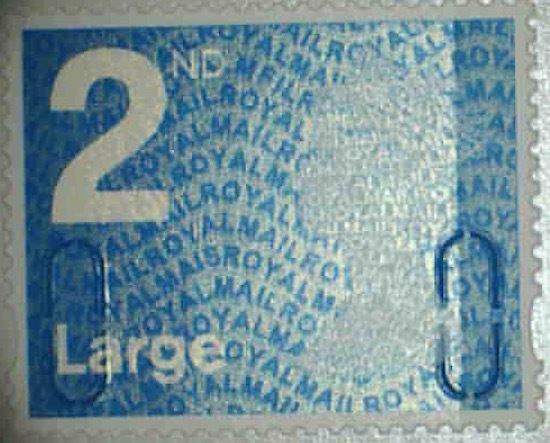 It is numbered W2, because it is the second cylinder to print the M14L overlay. (4) Overlay M15L. The text has changed again. Yet, another cylinder is required. It is numbered W1 because it is the first to print the M15L overlay. It is not printing M14L, so it is not W3. The numbering of the overlay cylinder seems to me to be quite logical. The hard one to understand is the numbering of the phosphor cylinder, where a new cylinder was required but was given the same number as an existing cylinder. My guess is that was just a mistake. W6 (blue), W1 (iridescent), W3 (phosphor) - so the W3 phosphor cylinder exists. I wonder if we will see the 1st class booklets with that one! ? That W3 is a cylinder that prints centre bands. 1st class books have two bands. If a W3 appeared on 1st stamps, it would have to be a different cylinder. I guess that really is one we will never know. Yes, of course, silly of me! Getting carried away with the complexities and didn't think that through properly. But as the single-band cylinder changed from W2 (on the old press) to W3 on the new press, then that should have been done on the two-band cylinder. Because the cylinders last so long there is never a need to change the iridescent cylinders. I see that you say that we know that the Star Wars PSB Machin pane is to be self-adhesive. But the latest Bulletin (page 84) does not seem to know this. It describes the pane as "PVA" which, I think, means lick-and-stick. Has anyone seen these yet? I must confess to hoping that the Bulletin has got it right. Mind you, this is the same Bulletin that runs an article about the Prestige book (page 69) but does not list any Prestige Book among the forthcoming issues (page 96, rear cover). I can only go by what we have been told - and I must put an order in for some of these. On the subject (or should that be 'On the abject..') Philatelic Bulletin, the article starting on page 83 is supposed to be a list of this year's definitives, but it includes all Smilers Sheets including StarWars. The Star Wars PSB details on p 69 are incomplete - while panes 1 & 2 do indeed have 6 stamps each, panes 3 and 4 have 3 (miniature sheet) stamps each and the definitive pane is pane 5! And to round it off, their response about the size of Christmas stamps on p 92 is way off the mark. Since 2013 the Christmas stamps have been larger in both dimensions - 24 x 28mm and 34 x 28mm.